Thanks! I took them with an 8" Meade LX90 with the LPI camera -- basically just a simple webcam. I also use a 3x barlow lens when imaging planets -- being less than half an arc-minute across you need all the magnification you can get! I'm really impressed by your results with Jupiter and its moons by the way -- even with a tripod I imagine that's no trivial task! Looking forward to seeing more as Jupiter nears opposition. Actually, it is a trivial task It's one of the easiest shots I can do, easier than shooting the Moon even. Just set the tripod, focus the camera on Jupiter, set exposure time to 1/10 sec and ISO to 1600, and voila, Jupiter and Galilean moons (for the actual disk of Jupiter it's more like 1/200 and ISO 100). And the difference in detail between now and opposition won't be noticeable; that previous shot I posted was artificially enlarged 3x, even at opposition Jupiter is no more than 12 pixels across, and I can never make out any detail, just a featureless orange disk. Amazing! And you do all that with a Canon 1000D? Very impressive. What design is the barn door tracker you're using? I was planning on building my own soon. What design is the barn door tracker you're using? Indeed it is, that thing is a beast! And it looks well built. Did you build any others before this one? And have you ever tried to use any other designs? That's simply amazing, astroniki. Very high-quality images. Got a good chuckle out of your lightning photo, too. I've always used curved rods. I've started with a small one, about 1/4th the size of this one, and then a medium one. Now i can't see any periodic error in the tracking even at 300mm, but it is a bit shaky. I guess it's about an equivalent of a EQ3-2 mount, and with the size of it i think i would rather buy a proper mount. :P I might get a EQ-5 someday, with a small scope. I'm from the Netherlands and I shouldn't complain at all about my night sky views they're sweet aswell. I live in Massachusetts, United States. Light pollution is a problem for me though. I just got a brand new Canon 600D I can't wait to start shooting the sky with it. Hopefully I can get something tonight! I just got a brand new Canon 600D happy I can't wait to start shooting the sky with it. Hopefully I can get something tonight! When I was picking a camera I was going to get the 600D but chose not to. Its actually a bit slower than the 550D and a bit larger, though thats probably because of the flip screen. Good camera nonetheless though, can't wait to see what you do with it. Thanks Doc. I chose it over the 550D because it was on a good sale, $150 off. I was a little skeptical about the utility of the flip screen, but after using it for only a few minutes I can already tell that it will definitely come in handy for some shots, especially when shooting the Moon. I'm going to try shooting the Moon in a bit after it gets dark. I also bought a 16 GB class 10 speed SD card to go with it, but it's still in transit. I don't need it to test drive some still shots though, it will only be necessary for shooting HD video. it will only be necessary for shooting HD video. Thats something I don't do which is why I went with the 550D. 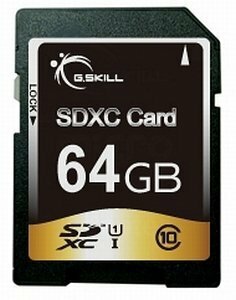 You may need something a bit larger in the long run for memory, as 16GBs will only get you a few minutes of uncompressed HD video. Good news is you can setup the compression and quality.